Dealing with the death of a family, friend, or loved one can be particularly difficult and traumatic. This is especially true in situations where that death was caused as a result of the misconduct or negligence on the part of another person, entity or company. The goal of a wrongful death lawsuit is to get compensation to the survivors and beneficiaries of the individual that passed away. Contact Marcus & Cinelli, LLP in Williamsville, NY for a free consultation with experienced wrongful death attorneys today at 716-565-3800. New York Estates, Powers, and Trusts Code Part 4 requires proof of five elements to establish a claim for wrongful death: (1) a death; (2) caused by the wrongful conduct of the defendant; (3) giving rise to a cause of action the deceased could have pursued in court if death had not occurred; (4) survival by one or more persons who have suffered a loss as the result of the death; and (5) damages the deceased’s estate can recover. 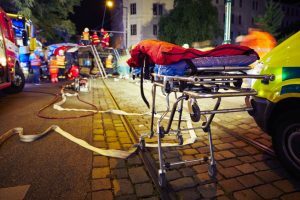 Who may file a claim for wrongful death in New York? Generally, only immediate family members of the deceased person have standing to file a wrongful death lawsuit. The immediate family members including parents, spouses, and children typically have standing to bring a wrongful death lawsuit. There are some instances where a legal guardian or custodian needs to be appointed by the court to represent the interests of the deceased person’s children if they are not of legal age. The estate’s executor or “personal representative” of the estate can also bring a survival action on the behalf of the decedent’s estate. What kind of damages may be awarded in a wrongful death lawsuit in New York? As with all cases, the damages available in wrongful death cases depend on the specific facts and circumstances of that case. As a general matter, however, wrongful death cases can be thought of as a combination of two different types of lawsuits that are normally joined. First, the decedent may have a claim for any pain and suffering he or she may have experienced prior to death. While claims for pain and suffering in some states are not allowed in instances where the person dies, New York allows these claims to survive the death of the injured person. As a result, when death occurs, claims for pain and suffering are legally transferred to the decedent’s estate. A claim for pain and suffering can then be brought by the personal representative for the beneficiaries of the estate and these beneficiaries would be entitled to this portion of any settlement or verdict. This is called a survival claim or action. Second, certain family members and those financially dependent upon the decedent will have a wrongful death claim. These claims are primarily based on financial loss. Unlike the pain and suffering claim, which is based upon damages to the decedent, the wrongful death claim is based on damages to family members and those financially dependent upon the decedent. When a wrongful death lawsuit is successful, compensation may be awarded to the decedent’s family for funeral and burial costs, reasonable medical and health care costs related to the final injury or illness, the decedent’s loss of earnings and benefits, the value of support and services the deceased provided to family members. Compensation for a child’s loss of a parent’s care, guidance, training, and parental nurturing is also available, as well as lost inheritance suffered by the surviving children. Punitive damages may also be awarded in cases that involve a malicious act or wrongdoing. These types of damages are intended to punish those at fault and to discourage similar behavior. It should be noted, however, that New York does not allow surviving family members to recover for mental anguish incurred due to their loss. In most instances, the two different categories of claims will be joined into one lawsuit, usually with the same lawyers for both claims. What is the statute of limitations for wrongful death actions in New York? As a general rule, the New York wrongful death statute of limitations allows surviving family members only two years from the date of death to file a lawsuit. Unfortunately, if the claim is not filed in this time period, the family will be prohibited from ever filing a wrongful death lawsuit and recovering compensation for their loss. New York does not “toll” or stop, the statute of limitations from running if the personal representative of the deceased person is a child or is legally incapable of filing the claim. In these cases, the guardian of the child or incapable person is expected to file the wrongful death claim instead. In some cases, however, the statute of limitations may be considerably shorter or other time restrictions may apply. Therefore, it’s important to speak with a New York wrongful death attorney as soon as possible. 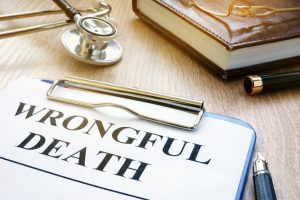 Because these types of cases can be particularly nuanced and complex, the first step in a wrongful death claim is to contact experienced wrongful death attorneys. Our attorneys are experienced in both defending these cases and in representing the decedent’s survivors and beneficiaries and making sure they receive what is deserved. Please contact us for a free consultation.